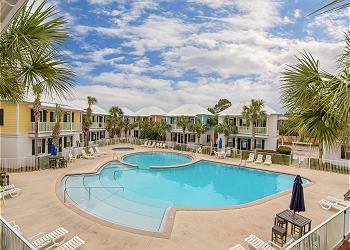 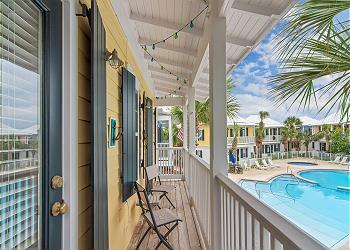 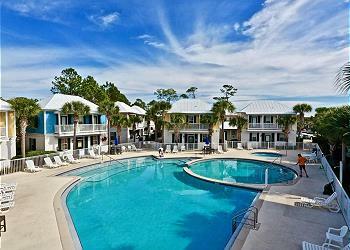 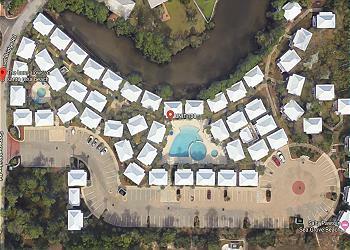 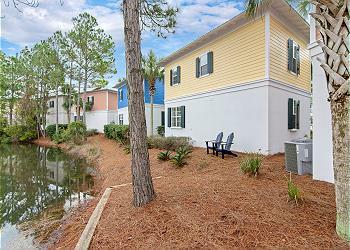 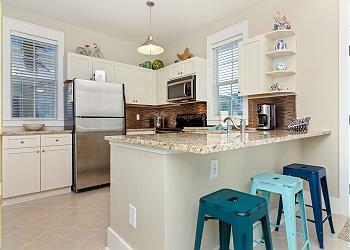 Welcome to the Bungalows at Seagrove! 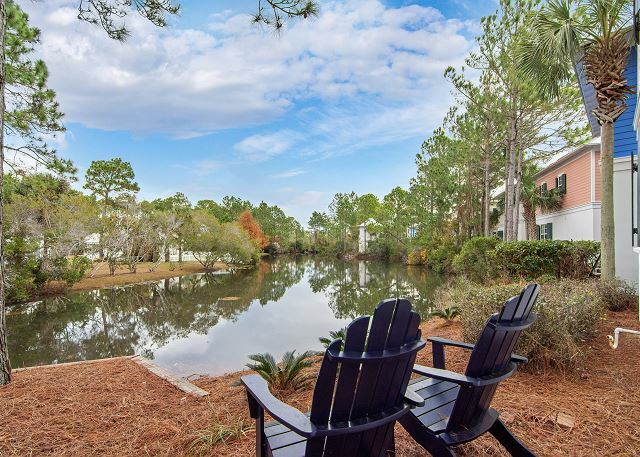 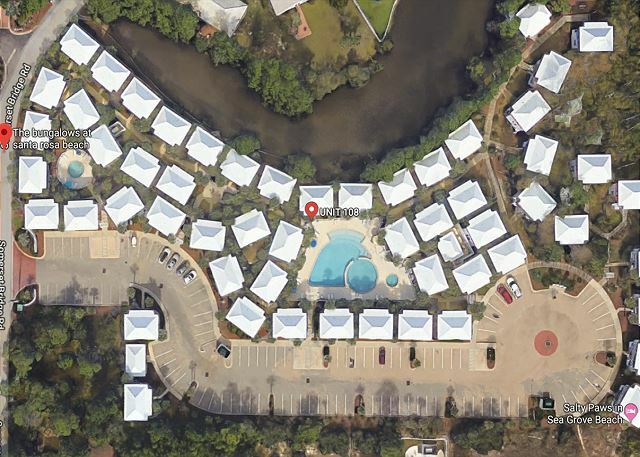 This charming community is located in Seagrove just steps to the beach with 2 shared pools and a hot tub, beautiful lush landscaping and neighborhood walkways. 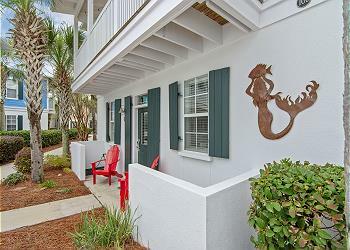 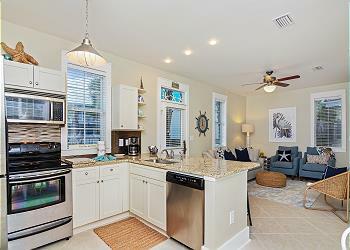 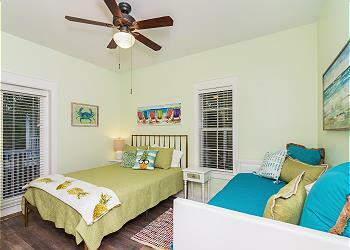 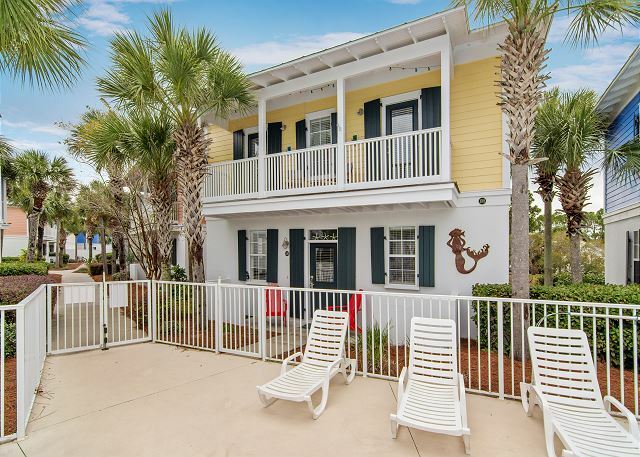 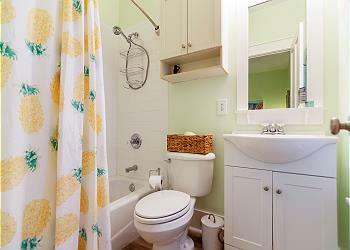 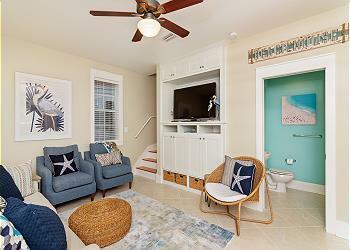 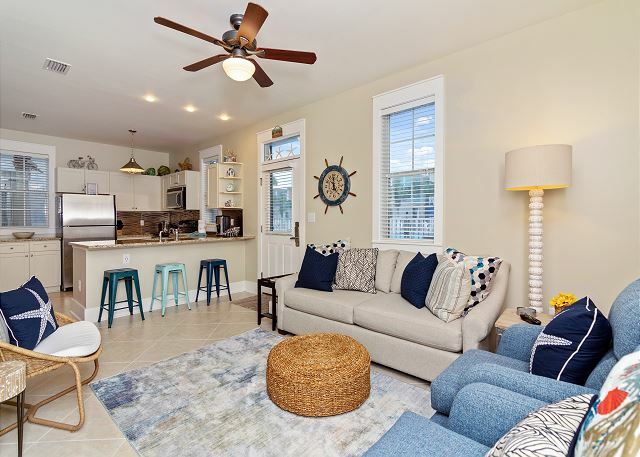 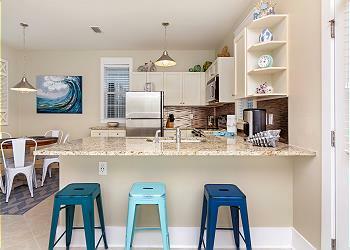 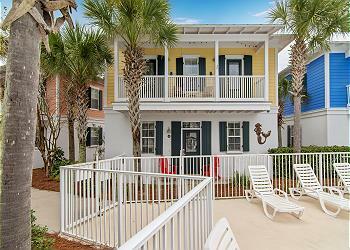 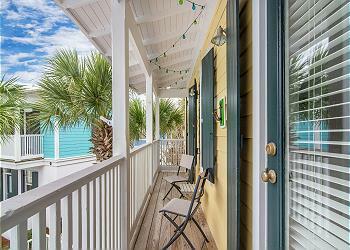 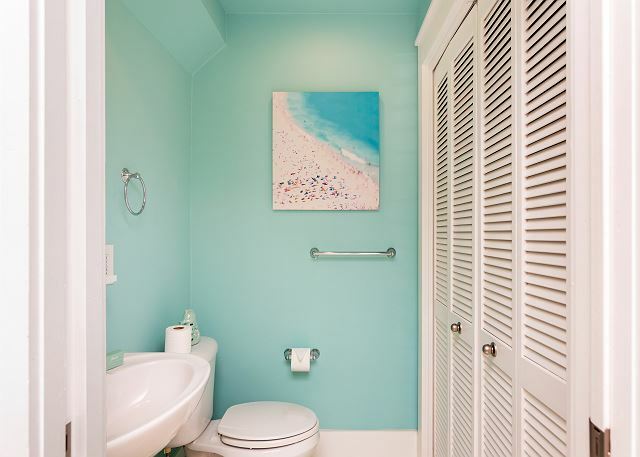 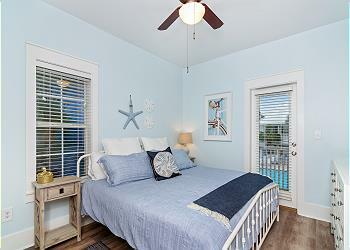 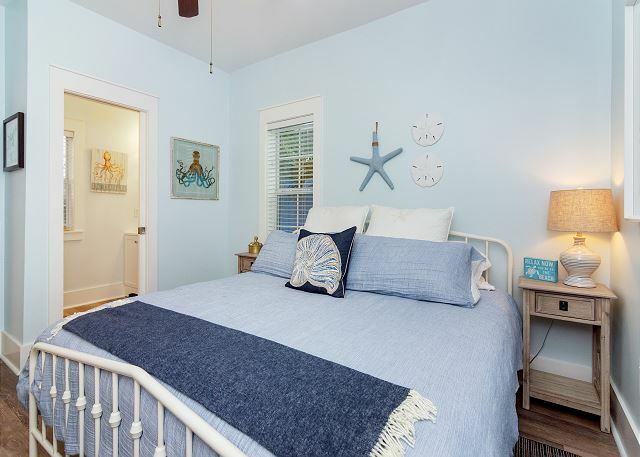 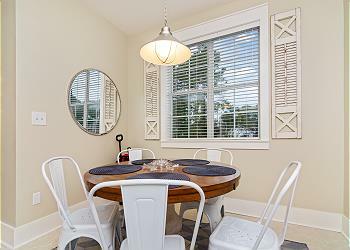 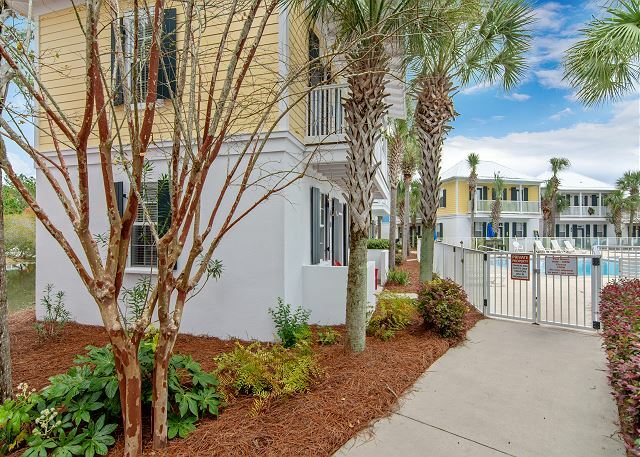 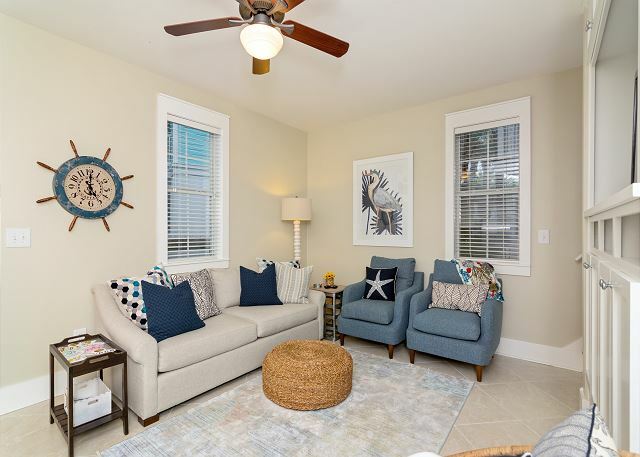 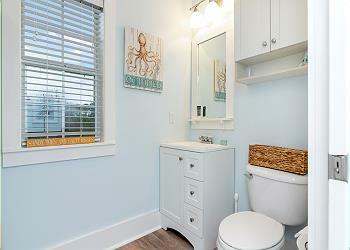 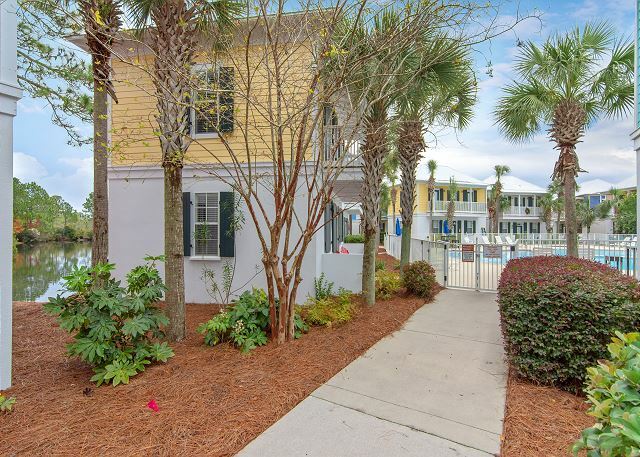 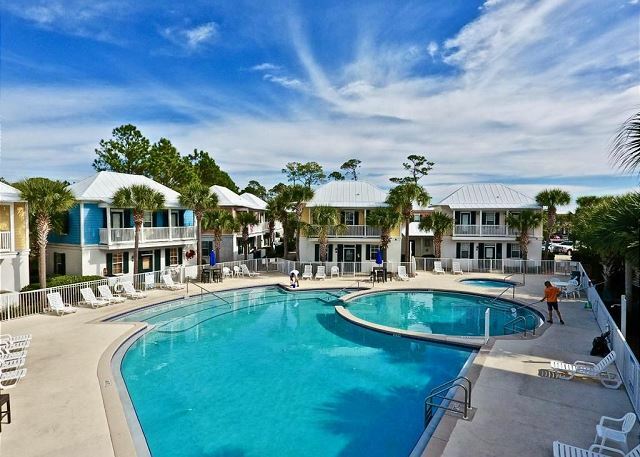 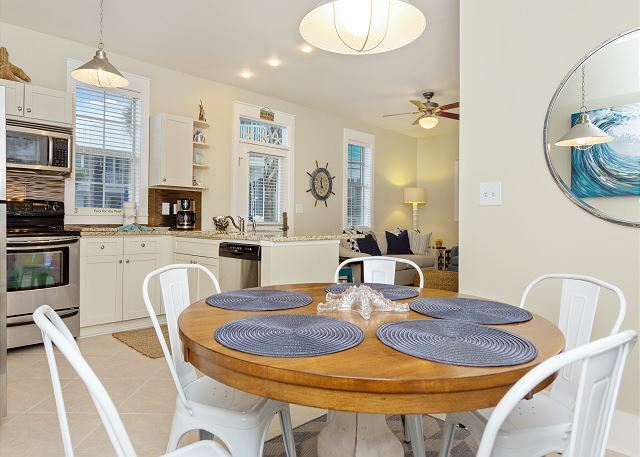 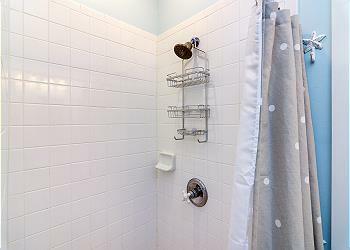 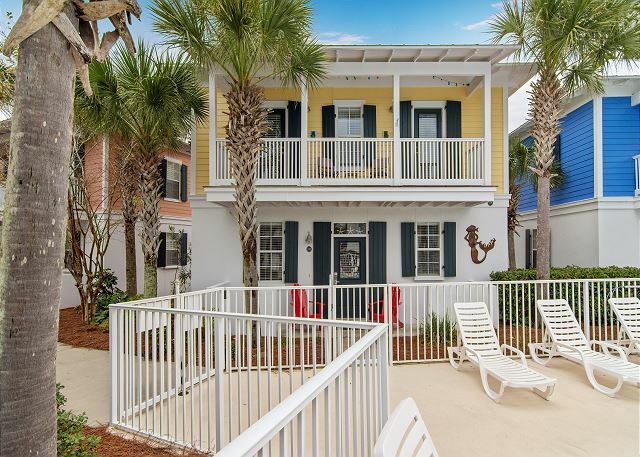 Brand new to the vacation rental listings, “Epic Daze” is a 2 bedroom/ 2.5 bath, freshly renovated (Fall 2018) cottage home with open living and dining spaces, all NEW furnishings (down to the kitchen staples), tasteful coastal decor, private bed and bathroom suites with added storage, a balcony overlooking the community and so much more. 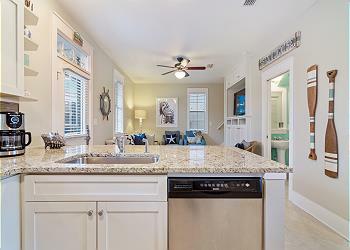 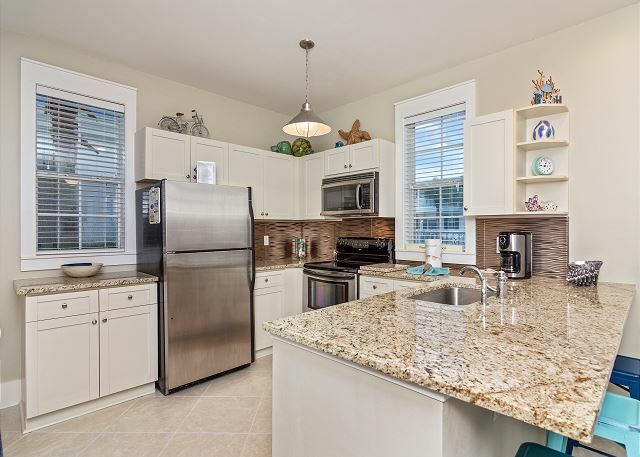 The updated kitchen offers stainless appliances, tiled flooring, counter height bar seating for 3 and dining space for 5 more with scenic lake views. 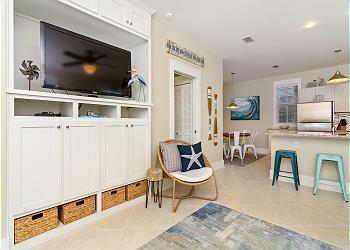 The kitchen opens to the living room with plenty of seating for the whole family, a flat screen SMART TV, Blu-ray DVD and high-speed internet. 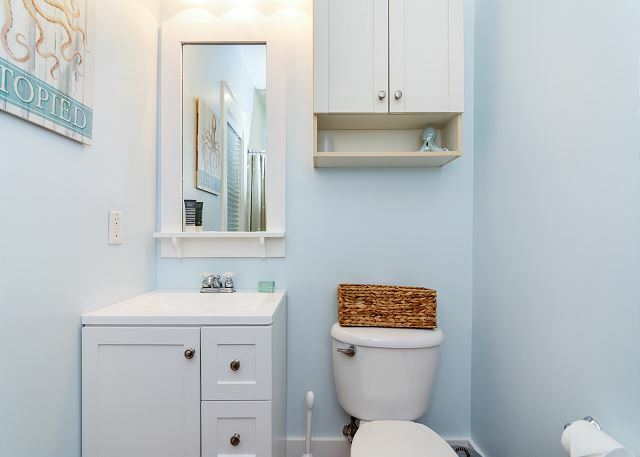 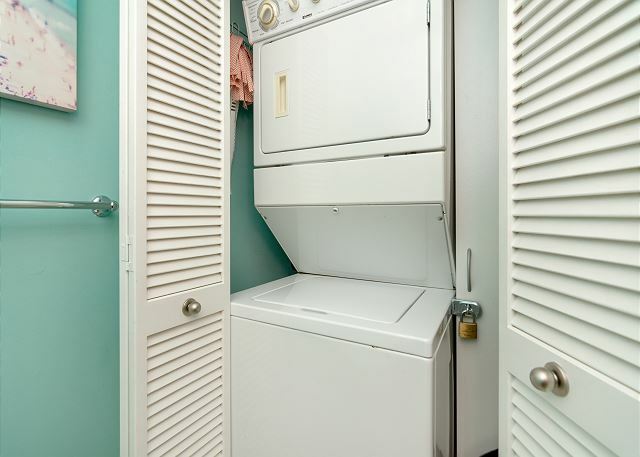 A half bath off the living room with a stackable washer/dryer completes the main level. Upstairs, featuring new luxury wood-look plank flooring throughout, you will enjoy the 2 bedrooms, each with private baths. 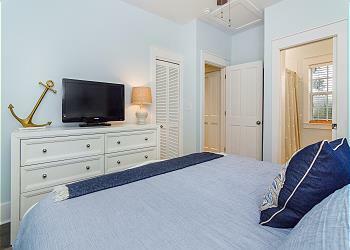 The KING master bedroom has balcony access along with a private bath (shower only) and a flat screen TV. 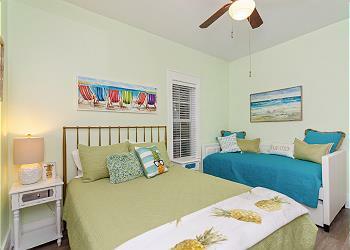 The guest bedroom offers a QUEEN bed with additional TWIN trundle daybed (sleeps 2) sleeping. 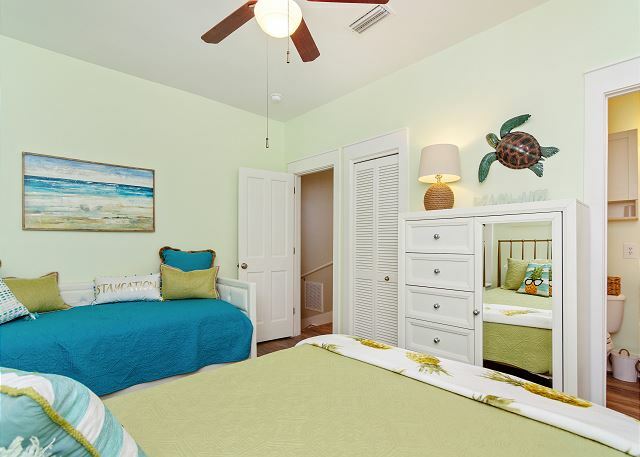 This bedroom also has balcony access and a private bath (tub/shower combo). 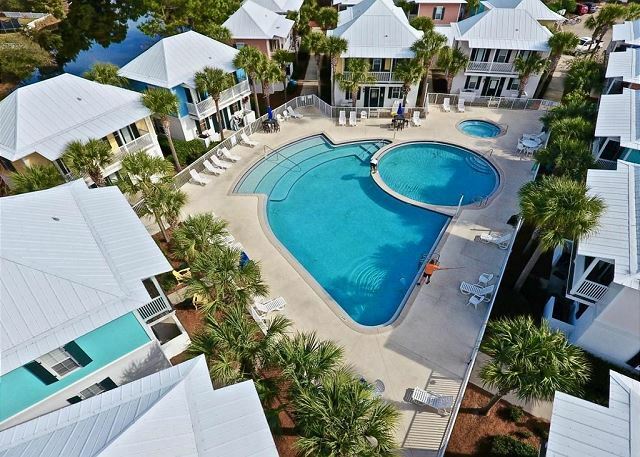 The upstairs balcony offers views of the community, pool and hot tub, and lush beach landscaping. 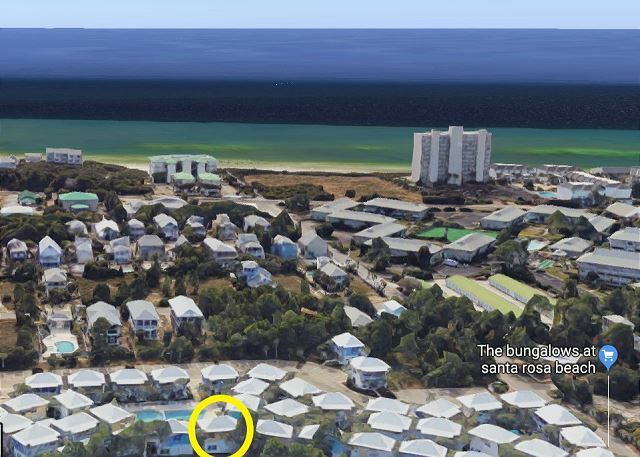 Beach access, made easy with the supplied beach cart, is just a few feet down the street and across 30A. 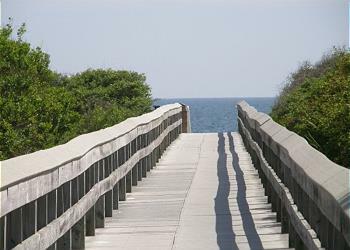 A convenience store is located at the beach access entrance for any last minute beach needs.